Concrete may not be a material you think of when looking for an elegant or sophisticated floor, but you should really consider it! 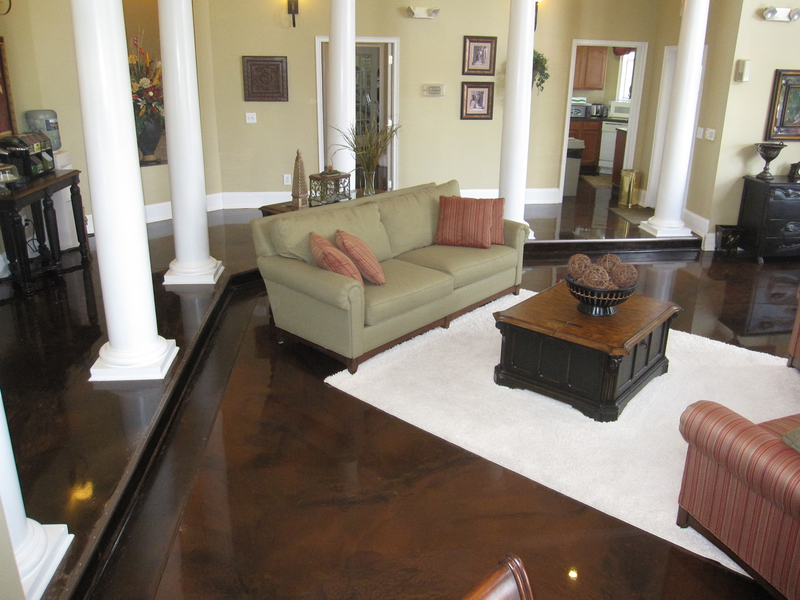 With acid stained concrete, the color is permanent, rather than a coating that might chip, peel, or fade. The natural color variation of stained concrete brings an outdoor openness to this conversation area.